Recently, there has been more attention paid by the media to daycare accidents and injuries to young children. While some claim this is just the media’s latest fascination, it seems that these often preventable injuries and illnesses are finally getting the attention they deserve, so parents can make more informed decisions about choosing a daycare provider to care for their young children. According to a recent news report from the Chicago Tribune, there is one major safety concern often overlooked by safety inspectors at a number of daycare facilities. 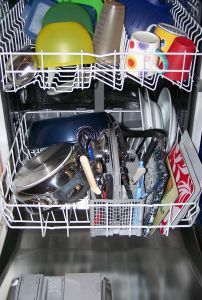 This problem involves the water temperate in dishwashers at the centers. As our Boston daycare accident attorneys can explain, many parents worry about their child being physically injured if not properly supervised by staff, and they do have good cause to be worried about this. We have seen accidents involving children falling out of cribs, choking on food and not being provided proper assistance, actually being assaulted by staff, and, in some cases, injured by other children at the daycare center. However one type of incident that doesn’t necessarily involve negligent supervision involves incidents of food poisoning. What makes this recent report different is the potential for children developing foodborne illness had nothing to with tainted food. Rather, the dishwashers in the facilities were not using water and steam hot enough to properly sanitize dishes used by the children. With the water not hot enough to properly sanitize the dishes, bacteria from previous meals’ waste was left on the dishes and silverware, exposing children to an unnecessary risk of being exposed to foodborne illness. In hundreds of daycare centers in Chicago, there are many instances of dishwashers not getting hot enough to sanitize dishes and silverware, refrigerators not getting cold enough to properly prevent foodborne bacteria, such as e coli, from forming, and rat droppings in pipes and other plumbing. What makes these issues even more dangerous is they are undetectable to parents who tour the facility prior to choosing it as their daycare center, and even to parents who come to the center every day to drop off and pick up their children. It is up to the center to check that their equipment is functioning, just as a restaurant is required to check their equipment multiple times a day. The problem is many daycare providers treat their place of business like their home kitchen and are negligent in performing required checks. Anyone who has ever worked in a restaurant is familiar with the requirement to monitor temperatures of food throughout the day, use infrared surface thermometers in ovens, refrigerators, and steam and cold tables, and perform a variety of other similar safety checks. These checks must be recorded on clipboard or electronic device, so these records can immediately be presented to a health inspector during a surprise inspection. Many daycare centers provide their own food for children, and, even if they don’t provide food, are responsible for storing milk and food the families send with their children each day. It is their responsibility to make sure their equipment is operating correctly, and, if a foodborne illness occurs, they may be liable for any damages if they failed to properly check their equipment on a regular basis.